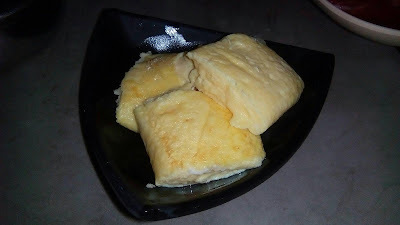 One of the main reason I love joining on this event is that I get to try one of their famous foods. What else? Of course the most famous Samgyupsal that we always seen in their dramas. Fast forward... 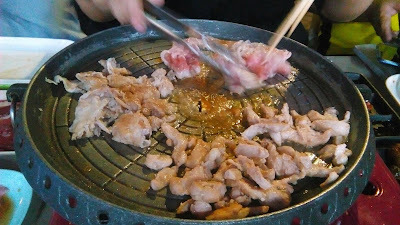 It was a pleasure to be part of bloggers group that will going to try the Samgyupsal King's Unli Korean BBQ. I meet the owner and the Chef of Samgyupsal King, they are very accomodating and nice, even their staff. We had a small talk about the business and I find out that all the ingredients are sourced out locally and some are from abroad. They followed the international standards when preparing the condiments and the spices, then the food tasting was started. They served us, three (3) different side dishes (Kimchi, Potato Marble & Radish), egg roll, lettuce, rice together with the marinated beef, chicken and pork. Okay what's next? Yeah, the heat is on and we start the grilling! I start smelling the cooked meat while preparing my rice and the side dishes on my side. 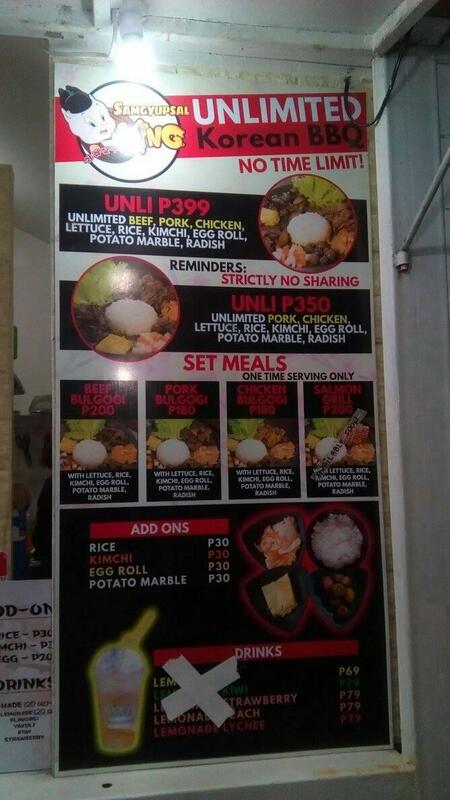 By the way, its Unli Barbeque and for only Php399! So affordable right? My favorite is the Chicken, it was marinated well. Next is the Pork, its so tender and thinly sliced. It's much easier to cook that way. I love dipping the meat in the Ssamjang. The egg roll is really the best and the marbled potato taste sweet. I tried their Kimchi and I don't like it because the spiciness get through my throat and I think there is something with the fermentation, I suggest that they should try to recreate it. I don't know, maybe it's just me. 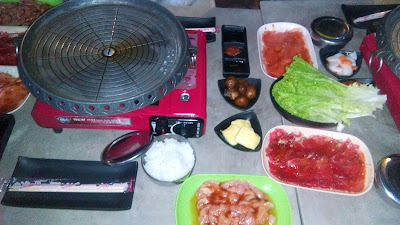 I think eating Samgyupsal is perfect for the family or by groups. You can enjoy it better with the people you love. I love the idea wherein you can now find Samgyupsal in a food park. Not like the usual of dining in a Korean restaurants. Compare to them, I find it more convenient because there is no long line and reservation needed. 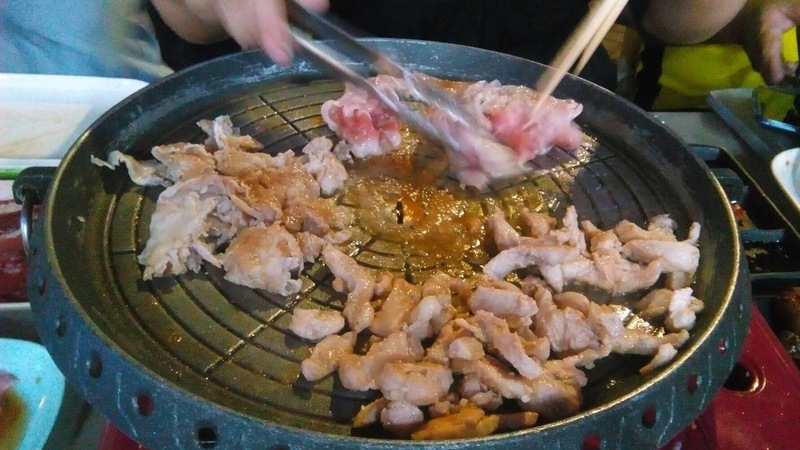 Also, eating Samgyupsal is very healthy. Currently, Samgyupsal King has two branches in Quezon City. The one I visited was located at the Le Village Food Park in E. Rodriguez Ave. corner Cordillera St., Quezon City and the other branch is in Maginhawa St. in Diliman, Quezon City.